India is a country filled with temples, beaches and greenery. You would find two of these three in almost all destinations in India. Kerala, known as God’s own country to some, and heaven on earth to others, is known to house all the three together. Temples that are beautiful and drop dead gorgeous are housed alongside coffee plantations, greeneries and beaches. Most of you should ideally visit Kerala just to see how nature beats you at enjoyment and relaxation. You can never get enough of Kerala. Trivandrum, the capital of Kerala, is known among tourists for two reasons: one the Kovalam beach and second the beautiful shrines it houses. Sitting by Kovalam, watching the sun go deep into the waters and waiting for the surreal moment is absolutely divine. 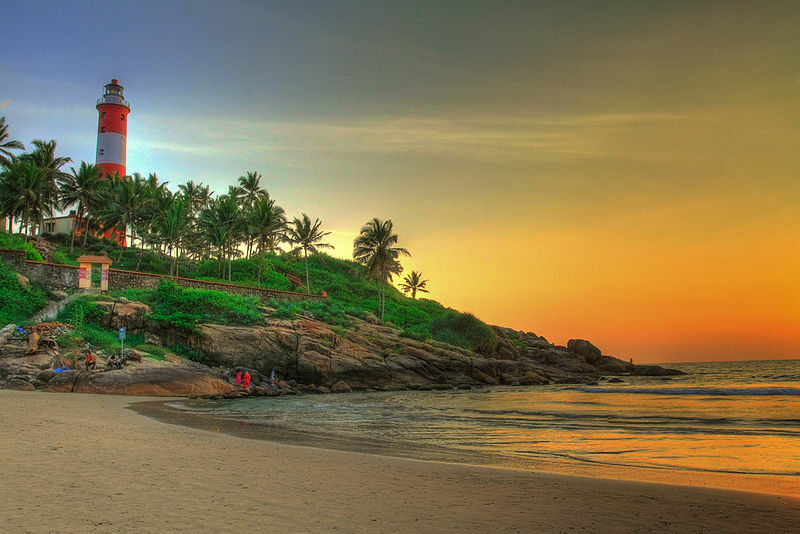 Such scenic scenes come to mind when you talk of Kovalam beach. Kovalam literally translates to a grove of coconut trees, and the reason is the never ending sight of coconut trees it houses in a single place. To a lot of people this is known as the paradise of the southern part of India. It is a beach town, so what is so different about it? Why should you go visit this place at least once in your lifetime? If such questions are running through your mind, you should read on. The Kovalam beach town is known to house three separate beaches that are separated using the rocky outcroppings. The first beach in this town is the lighthouse beach. The presence of Vizhinjam lighthouse can be attributed as the reason for this beach getting its name. Hawah beach is the second beach housed along the coastline and it is the beach known for fishing activities. Samudra beach, the third beach along this line, is renowned for trade purposes. This beach does not house any tourists. Most of the tourists flock to the lighthouse beach. 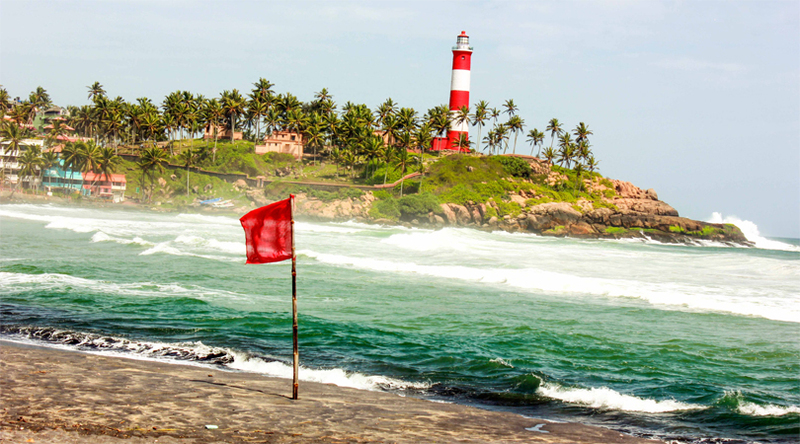 Apart from the beaches and its scenic views, Kovalam also houses a few temples and churches. It is one of the best tourist spots in Kerala which has a lot of beach resorts and adventure sports to entertain the tourists coming that way. If you are at Kovalam beach town, you should not miss out on walking along the shores of the beach. You will know that night time is the best time to be at the beach for a walk. You can walk along the sea wall too, if that gives you pleasure. Don’t miss out on swimming in the beach. Just make sure it is not a high tide else you will spoil the fun for yourself. In case you are an adventure sport lover, try out one of the sports housed in here. You will definitely entertain yourself. In case you are planning a trip to Kovalam beach town, plan your stay with Hotel Vedanta Wakeup group. You will be guaranteed the best possible, stay along with the best guest service possible. Known for “athithi devo bhava”, this hotel guarantees complete satisfaction when it comes to the rooms, facilities and dining.